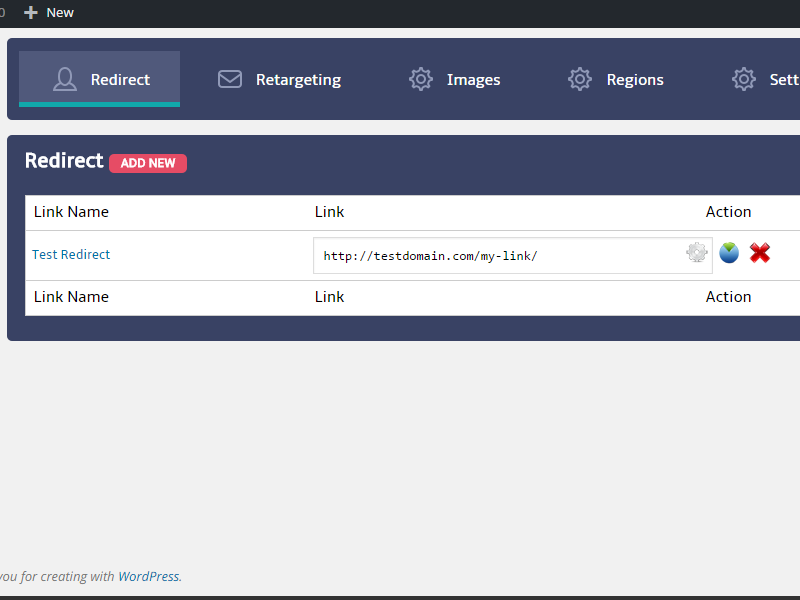 Redirect visitors based on their location, display the location in any image (ad) and much more. The plugin has 4 main features (Redirect, Retargeting, Images and Regions) that allows the user create smart campaigns based on the location of the visitor who clicks the link and track basic click analytics. 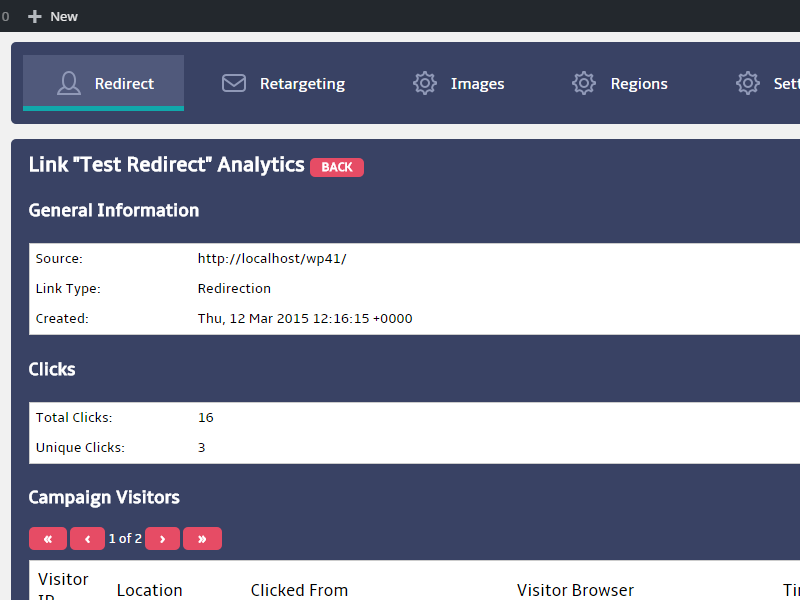 Redirect: Create a link that redirects the visitor to pages based on his location. 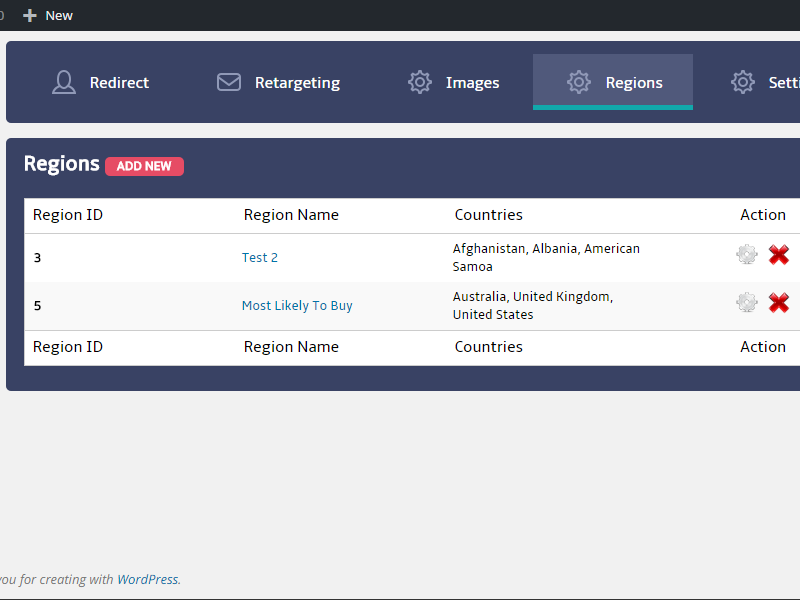 Retargeting: Triggers a retargeting pixel code based on the visitors location. Great way to segment retargeted traffic. Images: Display the location as text in any image you select. Basically a dynamic ad image. Regions: Instead of selecting each targeted country/location every time the user creates a campaign the user can create a region. The region automatically selects the right locations for each campaign.